As 2017 came to an end, we wanted to thank you for your continued support and patronage throughout the year. As a way to say thank you for your support and putting your trust in us throughout 2017, we wanted to give you a chance to win a few prizes. There were no submission forms you had to fill out or boxes you needed to check off, we simply entered you for being a loyal and valued customer to us. 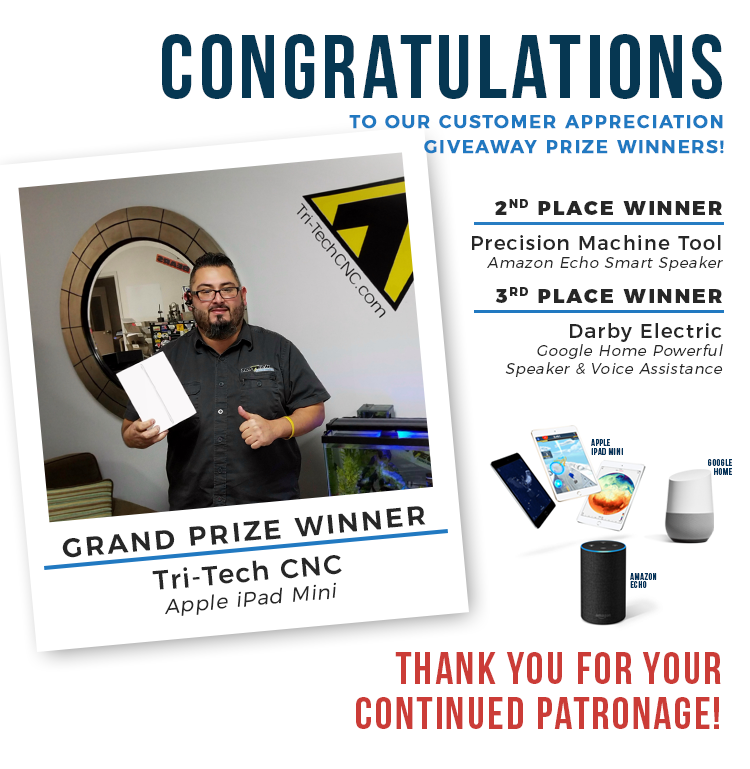 If you were one of the customers who sent in a repair, purchased equipment, or made an exchange with us from 12/18/17 until 1/18/18, you were automatically entered to win their choice of 3 prizes: an Apple iPad Mini tablet, a Google Home Powerful Speaker and Voice Assistant, or an Amazon Echo Smart Speaker. All sales, repairs, and exchanges qualified as an entry. More repairs = more entries! Now the time has come to announce the winners of our Customer Appreciation giveaway! We would like to extend our Congratulations to the following winners…. Didn't win our Customer Appreciation Giveaway? Don't worry! 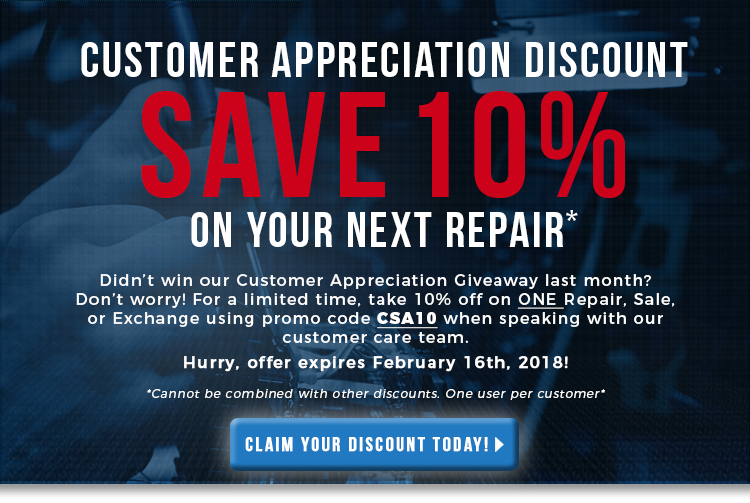 For a limited time, take 10% off on ONE repair, sale, or exchange using the promo code CSA10 when speaking with our customer care team. Better hurry though, offer ends 2/16/18! AND keep in mind it is definitely worth your while to keep an eye on all of our weekly emails for all future special discounts* and giveaways such as this one. *Precision Zone insider tip: we typically run 1 special discount per month so keep up with us! Again, we thank you all for sticking with us through all of 2017, you mean the world to us!